Imperialism gets a bad press these days, and with good reason. But not all empires are alike, and not all are a disaster for the people governed by them. 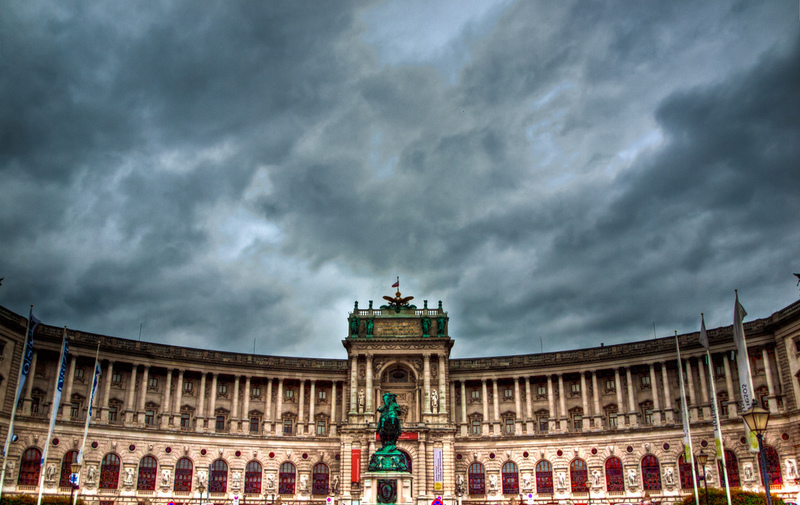 Steven Beller says central Europe is still struggling to recognise the benefits of the Habsburg Empire, and suggests its demise may hold lessons for the EU. In an article published in the second issue of Transit in 1991, ‘Whose history is it anyway?’, I pleaded for the newly freed peoples of east central Europe to look beyond national history, to the supranational level of the Habsburg Monarchy, or Habsburg Empire as it is often called. I doubt it had much to do with me, but the logic of the situation did eventually point people that way. 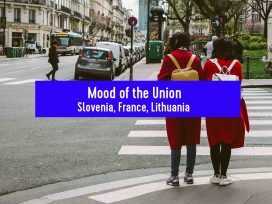 It soon became obvious that the best way to solve the problematic situation of the states of east central Europe was to reunite those states with western Europe, in an expanded European Union. Partly as a result, and partly as an incentive, there was increased interest in the period of east central Europe’s past that had resembled in several ways the supranational, multinational, polyglot European Union: the history of the Habsburg Empire. An increased attention to the empire was only fitting as a result of European Union enlargement, because it offered a precedent for the organization over a large territory on a quasi-federated, multi-national basis, as had the older version of the same, basic idea, the Holy Roman Empire. Looking at the Habsburg Empire’s past also could act as an incentive to join the European Union, because the historical experience of east central Europe had actually been better as part of a multinational polity like the Habsburg Empire than any alternative. The region had suffered as a set of independent quasi-nation-states in the interwar period, prone to extremism and authoritarianism, and ultimately German or Soviet invasion, and then had suffered again under communism in the eastern Bloc. Most of the incentive for joining ‘Europe’ was to share its Western prosperity and freedoms, but part of it was a historical knowledge that the region had been better off under a similar multinational entity, the empire, before disaster hit in 1914. I think this rise in the evaluation of the Habsburg Empire’s record in recent decades was a general one in much of east central European society, to say nothing of the increase in nostalgia for ‘Central Europe 1900’ in the West. It has been especially salient, however, in the historiography of the region. For at least a couple of decades, the empire ‘struck back’ as a recognizable area of study, both in the attention paid to its supranational and comparative, multinational themes, and in the positive evaluation that its culture and political experience received. Since the mid-1980s a revisionist trend changed the history of the empire from one in which nations freed themselves from imperial servitude, to one in which the empire had offered peace and prosperity to the ‘small nations’ of the region, while at the same time, ironically, encouraging the development of national culture, and identity, for the component national groups. This ‘revisionist’ historiographical view is now so established that it is difficult really to see it as revisionist any more. One of the best examples of the current, positive view of The Habsburg Empire is the book of the same name by Pieter Judson, who does bring new perspectives, at the level of local and popular history, to the larger theme. Yet when Judson calls his book a ‘new history’, his central idea, that the empire was a remarkably resilient polity, which was doing quite well for its populace right up until 1914, before all its (and their) good work was destroyed by the First World War, is not that new at all. Alan Sked was writing much the same in the late 1970s, but now it is the conventional wisdom. Several decades have passed in which a multinational, quasi-federal polity (the European Union) has shown how effective it can be in providing peace and prosperity. It is no coincidence that historical research confirmed the same about the Habsburg Empire. By now, Judson’s views are the established academic consensus. 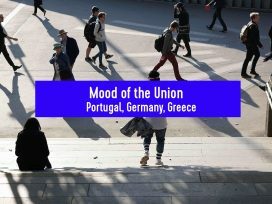 In the most recent period, however, there has been a change in the political weather concerning the European Union. With right-wing, authoritarian nationalist governments in Poland and Hungary, Brexit, and a surging nationalist far-right in most states in Europe (even when those parties are still, fortunately, in a minority), nationalism has taken centre stage once more. 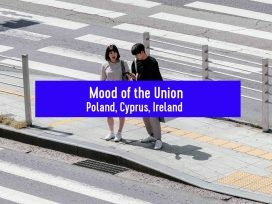 The supranational institutions of the multinational European Union no longer look as inevitable as they once did. It is not quite the same as before. 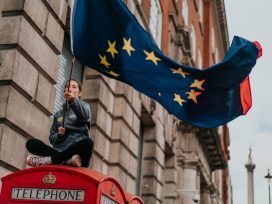 Nationalist concerns have now transferred to issues such as ‘the overbearing European Union’ and the ‘threat of Muslims to Christian Europe’; the countries involved have changed, and the measures taken become more extreme, with Brexit being the key example. Yet the similarities with the picture I drew in 1991 of a brushfire of nationalist conflict are all too obvious. It is almost as if we have learned nothing since ‘die Wende’. The past tends to take some time to catch up with the present, but I suspect that this rebirth of nationalist attitudes will result in a new reconsideration of the nationalist arguments about the Habsburg Empire as a ‘prison of the peoples’, as an obstacle to proper national independence and self-development. I am talking here mostly about the historiography based in western academia. It is quite likely that views about the Habsburg past in the countries of east central Europe, even in their academic sector, really never changed as much since 1991 as we might have (wishfully) thought. Attitudes to the communist era changed, but was that true of earlier periods, especially before 1914, when much of the region was part of the empire? Some more liberal, pro-European scholars might have been convinced by the largely western-based reinterpretation of their history, but when we look back at the controversies surrounding Polish-Jewish relations, or the role of Hungary in the region, these suggest that the supra-national historiographical consensus was never fully accepted. That might well explain why it has been horrifically easy for so much of east central Europe to lapse back into the worst sort of nationalist politics. There were noble efforts to change the intellectual and cultural frame for understanding the region’s past, including Vienna’s Institute for Human Sciences (IWM) and the Central European University in Budapest, but the mere fact that the latter is being threatened with closure indicates which past is in the ascendant. It is not the supranational, multinational past of the Habsburg Empire. After having struck back, will the empire, as a framework of understanding the past, now, to use an American baseball-inspired term, ‘strike out’? Will it, in other words, be seen to have failed, be seen as an inadequate alternative to nationalism in understanding the region’s, and Europe’s, past – and hence be dismissed again? I hope not. It is true that there are some aspects of the current historiographical consensus that even I can see are questionable, such as the idea that national identities were entirely invented (and not even constructed on pre-existing traditions). Yet one does not have to accept the entire argument of historians such as Judson to recognize that overall the empire was a positive factor, and that its loss was a disaster. Much as is the case with the current European Union, the empire might have had flaws – severe flaws – but in general it was a very good idea. It seems odd, in this democratic, anti-imperialist age, to praise an empire, but then the Habsburg Empire, in its final version at least, was something other than the colonial empire that we usually think of when talking of nineteenth-century imperialism. The very word ‘empire’ implies rule over others, subordination, and in the colonial empires, such as the British, Dutch or French, this meant rule by one nation or state over others. In the Russian case there was a twofold relationship of subordination: of the Russian populace to the tsar, and of the non-Russian provinces to Mother Russia. In central Europe there had been aspects of such subordination, yet in all three cases the attempts by the imperial interest, the emperor and his dynasty, to impose their direct, absolute rule on the other parties in the ‘empire’ had ultimately failed, or were never even attempted. The post-1871 German Empire was, admittedly, a formalized version of a Greater Prussia, but even there it was understood that there were constitutional restraints on the emperor’s power, which was, in theory, limited by the federal nature of the empire, and balanced by the representative principle of the Reichstag. The Holy Roman Empire, to which the German Empire claimed to be a successor, had similarly developed into a constitutional polity, in which two partners: emperor and empire, together shared a sovereignty that was deliberately diffused across various power centres. The imperial dynasty for centuries had been the Habsburgs, and if the German Empire took over most of the territorial expanse of the Holy Roman Empire, it was the Austrian Empire, founded in 1804, that took over most of its traditions, symbols and spirit. Exactly what that spirit was, the Habsburgs themselves often did not quite know or understand. The history of the Habsburgs and their empires (Holy Roman and Austrian) is littered with attempts to acquire absolute power over the empire, only to be thwarted time and again, and reduced to doing what they should have done all along, which was to act as a balancing, mediating, and protective force for the peoples and interests within their imperial realm. This is what had happened in the Thirty Years War, and something like it happened under Maria Theresa and her two sons, Joseph II and Leopold II: hubris followed by moderate accommodation. After 1815, the Habsburgs had attempted to rule as absolute monarchs, but the 1848 revolutions and the subsequent transformations of the next two decades led in 1867 to the Dual Monarchy of Austria-Hungary. Out of the complexities of the Dualist ‘Compromise’ emerged a quasi-imperial polity that consisted of two states with constitutional, representative government, and the rule of law, and with both states part of a united, free trade zone across the expanse of central Europe, with a joint currency, the economic and fiscal rules of which were to be negotiated every decade. This sounds extremely complicated, and it was: as one might also suspect, the arrangement often proved virtually unworkable. This was especially the case as the two ‘halves’ were far from having any symmetry or balance. The smaller ‘half’, Hungary, appeared a compact unitary nation-state on the map, and it was run as such by its Hungarian gentry leadership. Yet appearances deceive. Roughly half of Hungary’s population spoke some language other than Hungarian (Magyar). Meanwhile, the larger ‘Austrian’ ‘half’, Cisleithania, was almost as centralized in theory as Hungary, with a central bureaucracy and legal system based in Vienna. Yet in practice it developed into a pluralist, quasi-federalized and multinational polity. The ‘state people’, the Germans, might have started with a superior position, but by Cisleithania’s last decades the other ‘nationalities’, such as Czechs, Poles and Slovenes, were gaining considerable power at the provincial level. Politically, Cisleithania had become a complete mess by 1900, with parliamentary obstructionism and national conflicts the norm, but the institutions of empire, most notably the bureaucratic state, carried on regardless and continued to develop. In Hungary too, politics were none too settled, with the relationship to imperial ‘Vienna’ being a constant source of controversy, as was the attempt to ‘Magyarize’ the non-Magyar parts of the population through coercive educational programmes. There was also a residual piece of colonial imperialism in the policies to govern and develop the territories of Bosnia-Herzegovina after their occupation in 1878 and annexation in 1908. All that said, however, the fact remains that the empire did well for its populace. The economy grew at a most respectable rate after 1867, and with a more even gradient than in the contemporary United States. The legal system provided relatively high security when compared to the situation in the south and east, and the bureaucracy was relatively uncorrupt. In Cisleithania the judicial system defended national linguistic rights, and the various national cultures blossomed under Habsburg rule. Hungary was a different story, but this was certainly a golden age for Hungarian national culture. In Cisleithania as well there was progress towards a democratization of the system, with universal male suffrage in 1907 for federal elections. Above all, the empire offered a space in which the narrowness of national categories could be overcome and sidelined. The empire was, as an ironic result, also a hotbed of nationalism and anti-Semitism, politically. Yet, outside of the political realm, the imperial space offered the chance for the logic of the ‘included middle’, of ‘both/and’ instead of the binary ‘either/or’, to be practised. 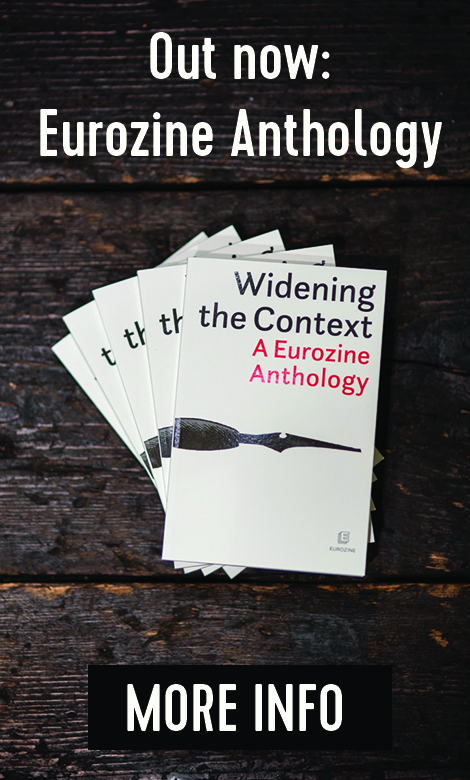 It made possible ‘hybrid’, hyphenated identities, and the transgression of conventional boundaries, with brilliant results in many cultural, intellectual, and artistic fields, which, we now see, made ‘central Europe 1900’ such an innovatory centre for modern culture and thought. All of this was thrown away in the First World War. This led to the end of the Empire in 1918, and its replacement by a nationalist system. The failure of nationalism between 1918 and 1945 led in east central Europe to the imposition of a communist system that also failed. Meanwhile in the western half of Europe a new multinational structure arose, the beginnings of what is now the European Union. This was partly inspired by memories of the Holy Roman Empire, which was itself the source of the imperial idea in the Habsburg Empire, and there are many shared ideas and parallels between the Habsburg Empire and its modern ‘successor’, the European Union – although in most respects the European Union is a far superior, more modern, more democratic institution. Both are notorious for their bureaucratic nature, but there is not a ruling Eurocrat in every town as there was a Bezirkshauptmann in every district in Cisleithania. The European Union is a federal system, with sovereign states pooling sovereignty and no central control over localities. Local officials enforce EU regulations, not ‘men from Brussels’. The European Union is much more democratic than the empire ever was. The empire never recognized popular sovereignty, whereas power comes from below in the union, with the Council of the European Union and the European Council both composed of representatives from democratically elected member governments. In addition there is the European Parliament, not quite as dysfunctional as the Reichsrat became. Both union and empire share a habit of constant negotiation and relying on compromise, meanwhile depending on the competence of the bureaucracy in Brussels/Vienna to keep things ticking over. They are both examples of the power of institutionalism. 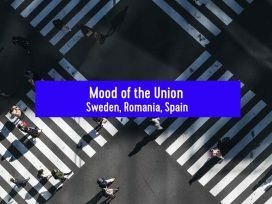 Both union and empire demonstrate the immense benefits of a large free trade area, and also of a large free movement zone, but also the pressures that these freedoms bring with them. In the empire the steep economic gradients between regions led to mass economic migration, of Czechs and Jews to Vienna, for example, which led to anti-Slav and anti-Semitic hostility on the part of the ‘native’ Viennese population, a parallel, perhaps, to ‘native’ resentments and hostility to Muslim ‘invaders’, or even just Polish economic migrants to Britain. The most ironic parallel between union and empire is that both end up encouraging national identities and cultures, and, if not checked, nationalism. The Habsburg Empire encouraged cultural nationalism, and even institutionalized national identities through the modernization of the state, when it introduced linguistic categories in its census. Its history of concessions to national groups, especially the Hungarians, also encouraged national competition for Habsburg favour, even if this eventually led to the splitting apart of the empire itself. The existence of a competent bureaucratic state above the nationalist political fray also encouraged irresponsible, demagogic politics, because the Empire could always be counted on to pick up the pieces. The European Union shares this same problematic. Blaming ‘Brussels’ for everything bad, echoes the similar scapegoating of ‘Vienna’, whether the demagoguery was in Budapest, Lviv, Prague or Graz. Against this nationalist rhetoric of projection, the empire could count on loyalty to the dynasty and institutionalist inertia, but not enough loyalty to the collective enterprise of the empire itself. There was never a strong enough identity for the imperial entity independent of the Habsburgs, never a sense of a shared solidarity between the citizens of the empire that could, in the end, resist the collapse of the empire’s dynastic structures and the divisive, centrifugal force of nationalism. That is, unfortunately, the nature of fuzzy, variegated, irregular, marginocentric, political systems like the empire, that have no strong central focus and no clear, monolithic definitions of who belongs and who does not. And that is, of course, the main problem when it comes to strengthening support for the European Union—we have no simple, easily understood and experienced, formula for symbolizing such a complex concept. Yet the fact remains that it is through such systems, through managing and accepting difference and diversity, that a much richer experience and richer, ‘culturally dexterous’ understanding of our society and world is achieved, leading to greater innovation, and hence prosperity, to say nothing of peace. That is what the Habsburg Empire, for all its flaws, provided, and what the European Union provides the potential for now. Let us hope empire – either then or now – does not strike out. This text is a preprint of an original article that will be published this month, in English, in the online supplement to Transit 50 (www.iwm.at/transit).